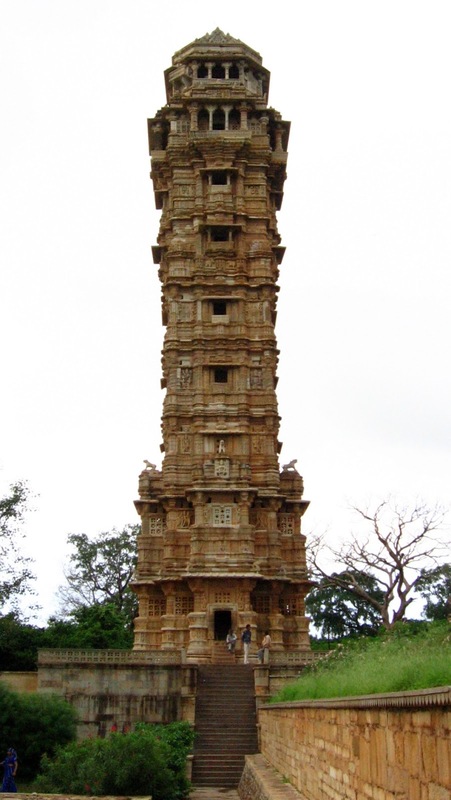 Vijay Stambh, Chittorgarh is the key among the tourist attractions in Chittorgarh. Built by Rana Kumbha in 1440 AD to celebrate his victory over Mahmud Khilji of Malwa, the tower is a must on your Chittorgarh tour. The star among the places of tourist interest in Chittorgarh, this tower is a marvel of architecture. 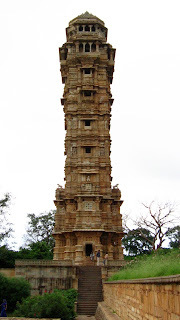 Vijay Stambh (Tower of Victory) Chittorgarh, Rajasthan, India is a 9-storied structure. With an imposing height of 37 meters, the monument is sure to inspire everyone on his Chittorgarh tour. Each of the story ids adorned with beautiful sculptures of Hindu divine beings. Indeed many on their visit to Chittorgarh regard it as the finest example of the famed Rajput style of architecture. Its design and architecture points the agility of the craftsmen making it the most remarkable of the tourist attractions in Chittorgarh. The 157 circular and narrow steps led to the terrace. The tower is bedecked with sculptures of Hindu gods and scenes from the well known Ramayana and Mahabharata epics.